Zim Hip-Hop does not only exist in the capital city. Masvingo, affectionally known by its residents as Masvegas seems to have started its own brand of Zim Hip-Hop, like the Dirty South did in the USA. 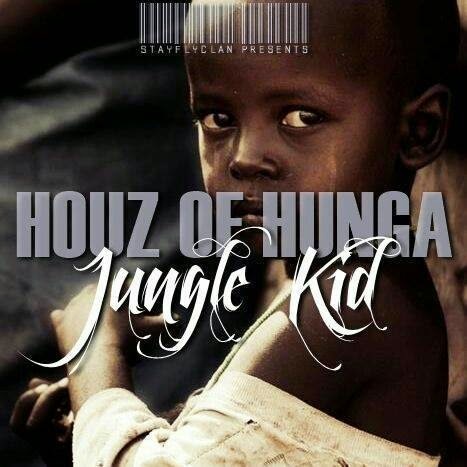 From the city that brought people like Noble Stylz comes the relative newcomer Jungle Kid with his debut offering Houz of Hunga, possibly inspired by the Dambudzo Marechera book, House of Hunger. The initial thing that threw me off when I first listened to this album was the questionable mastering. Had to remind myself I was listening to an album. Anyway, moving along……. I like the distinct flow that Jungle Kid has and this album is not overhyped as I initially thought it was. Dope wordplay. This is different from your usual Harare MC vernac. I see a lot of potential in the young man as he could possibly be among the top vernac rappers in the future. Keep on grinding boss. My favourites were Tovapa Zvipiko?, Freestyle Wanguda, Nherera and Ndapinda Ghetto.